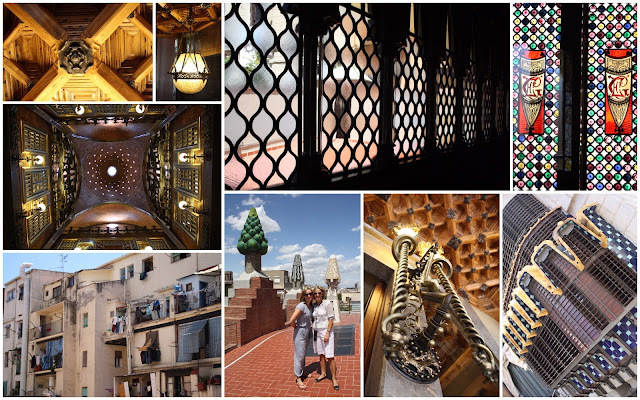 In 1984 Palau (palace) Guell was designated a UNESCO World Heritage site. It was the private residence of the Guell family and is the only domestic space completed by Gaudi that hasn't undergone substantial renovation. 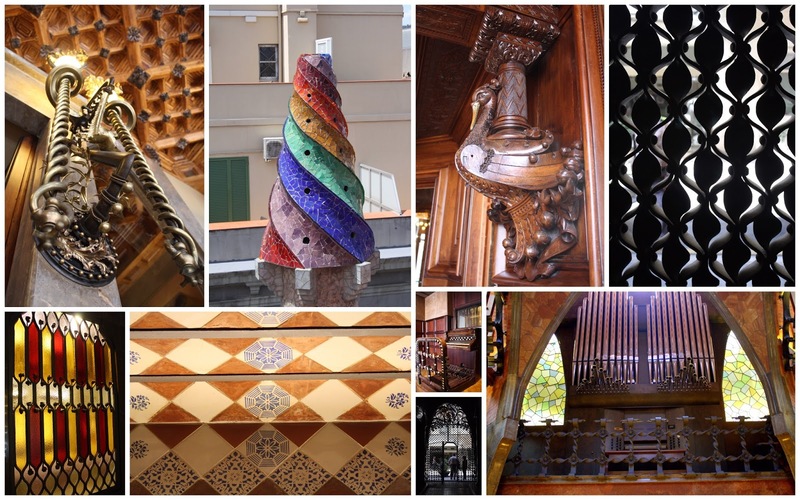 Guell became a significant patron to Gaudi and his home was the architectural jewel in the Gaudi crown. You can easily tour this lovely home, it's right off of Las Ramblas. We loved the ornate wood work, the strange multi-colored chimneys and colored glass windows.